New York City otherwise known as the Big Apple attracts vsitiors from around the world.It is comprised of 5 boroughs sitting where the Hudson River meets the Atlantic Ocean. At its core is Manhattan, a densely populated borough that’s among the world’s major commercial, financial and cultural centers. Its iconic sites include skyscrapers such as the Empire State Building and sprawling Central Park. Broadway theater is staged in neon-lit Times Square. 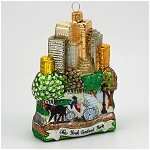 It's a city of dreams and our ornaments capture just a small portion of what it is. 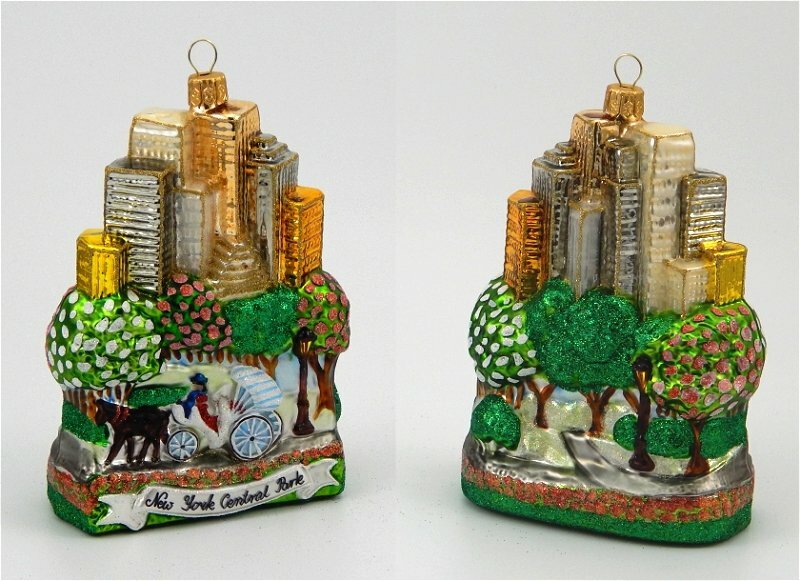 New York City Central Park Ornament made in Poland. 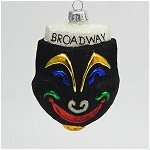 Ornament is mouth blown and hand painted. . Approximately 5 inches tall (13cm). 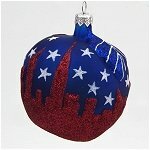 A molded glass Christmas ornament of the famous panoramic New York skyline on a ball shaped like an apple topped with a leaf. 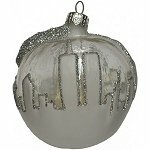 The New York skyline includes and pays homage to the fallen World Trade Center. A night time version in blue and gold The ornament is not silvered on the inside and you can see through the midnight blue if there are Christmas lights behind it. Skyline is outlined in gold glitter as are the stars in the sky. 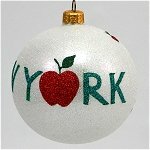 A molded glass Christmas ornament of the famous panoramic New York skyline on a ball shaped like an apple topped with a leaf. 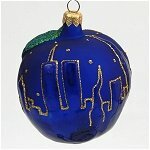 The New York skyline includes and pays homage to the fallen World Trade Center. 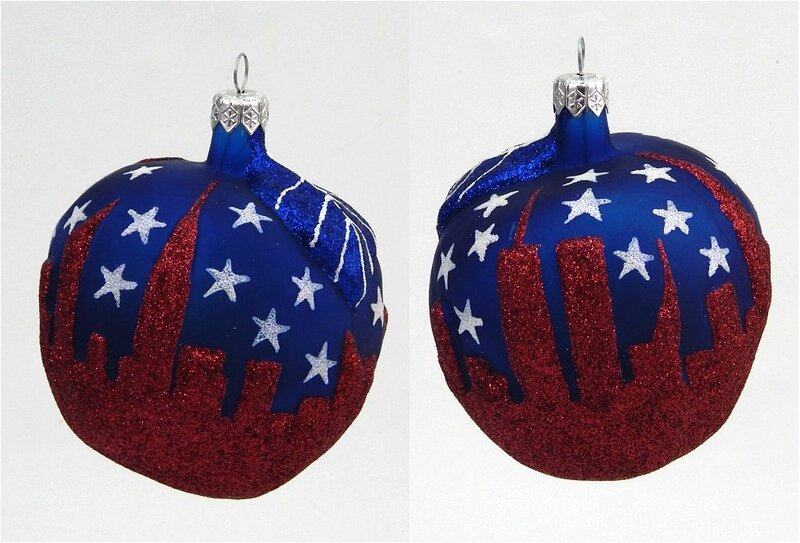 A patriotic version of blue red and white stars of the American flag decorates this piece. 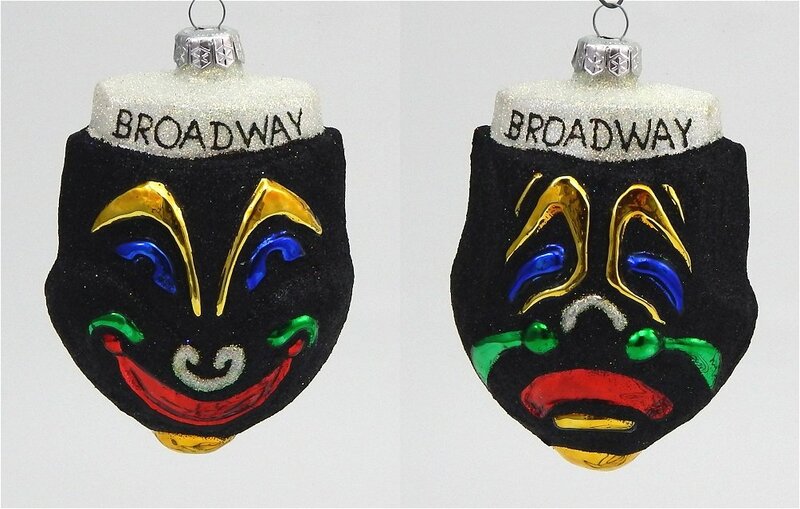 The ornament is not silvered on the inside and you can see through the midnight blue if there are Christmas lights behind it. The skyline is rendered in bright red glitter. 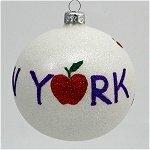 A molded glass Christmas ornament of the famous panoramic New York skyline on a ball shaped like an apple topped with a leaf. The New York skyline includes and pays homage to the fallen World Trade Center. 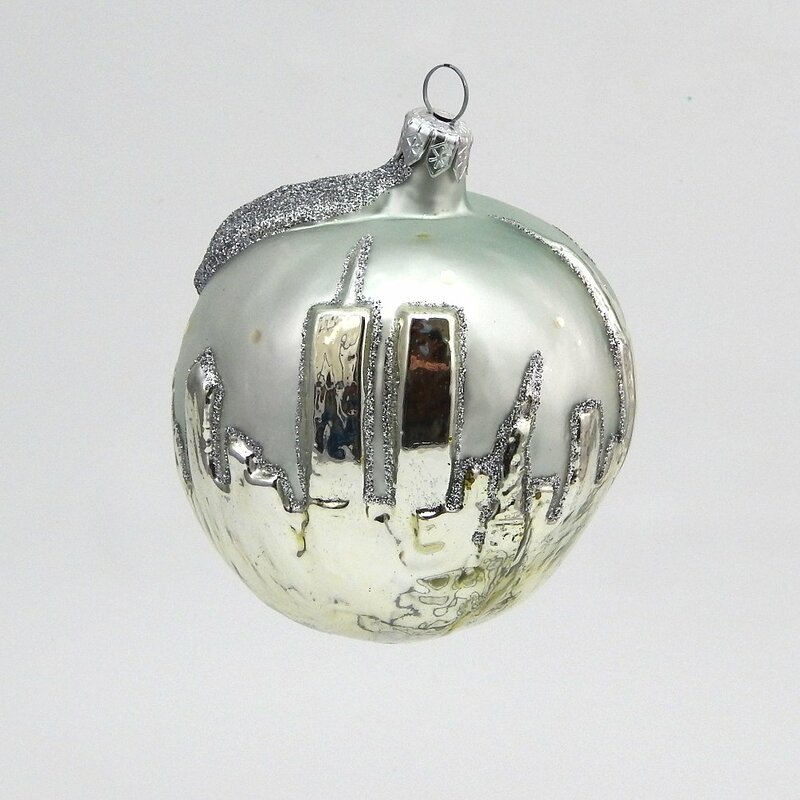 A beautiful version in silver with silver glitter..
A molded glass Christmas ornament of the famous panoramic New York skyline on a ball shaped like an apple topped with a leaf. The New York skyline includes and pays homage to the fallen World Trade Center. 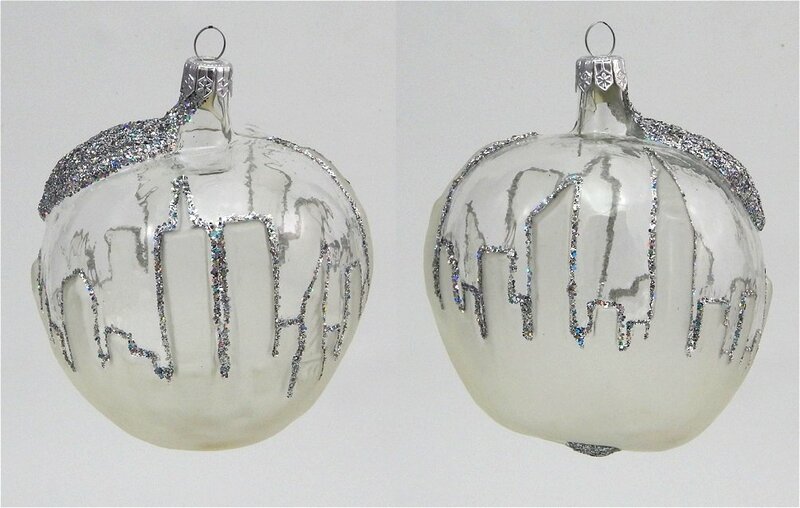 A beautiful clear version with the skyline frosted and edged in silver glitter. 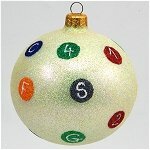 A nicely decorated round blown glass ornament. 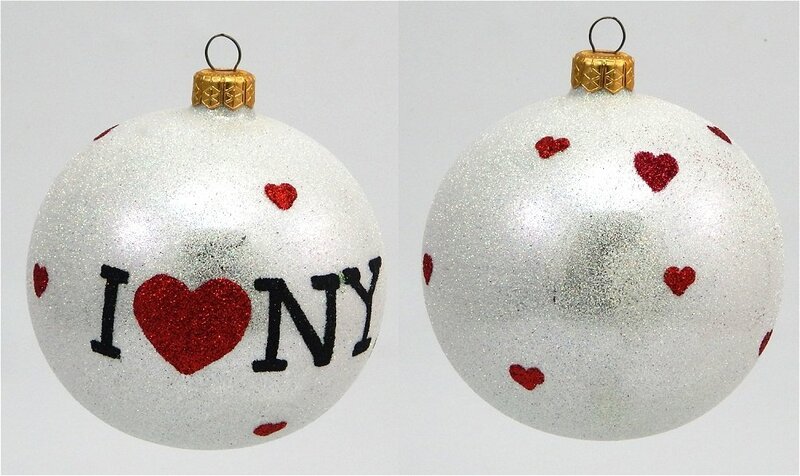 A series of small red hearts cover this white glittered ball with I Love NY circling it. We are used to seeing a heart in place of the word Love and our brains automatically put the word in place of the red heart. 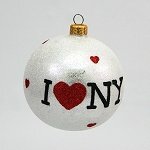 For all those lovers of New York this will brighten their tree this Christmas. A nicely decorated red round blown glass ornament with I Love NY circling it. We are used to seeing a heart in place of the word Love and our brains automatically put the word in place of the red heart. 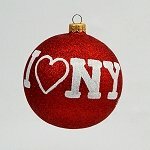 For all those lovers of New York this will brighten their tree this Christmas. Archbishop Hughes of New York had a vision for building the most beautiful Gothic Cathedral in the New World. Designed by architect James Renwick its cornerstone was laid in 1858 and the doors swept open in 1879. Each generation has added to her splendor. 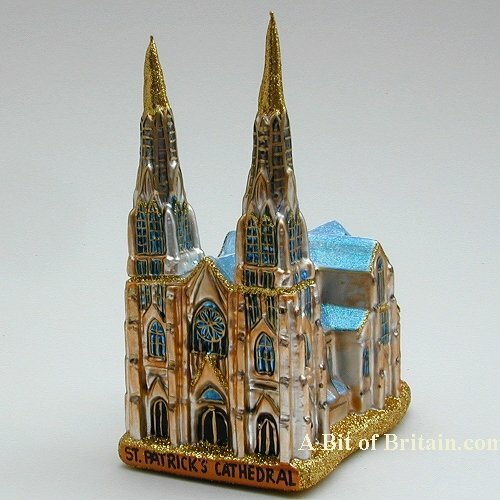 Her spires were completed in 1888 and The Lady Chapel in 1908. The magnificent Kilgen Organs were installed from 1928 to 1930. Major capital improvements were made in the 1940's and the 1970's under Cardinals Spellman and Cooke, espectively. The Kilgen organs were restored in the mid 1990s, and the gem of the Cathedral, the Lady Chapel, was restored in 2003. 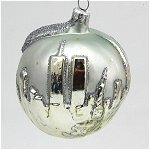 The vision is complete and this beautiful glass ornament captures it on small scale for your home. 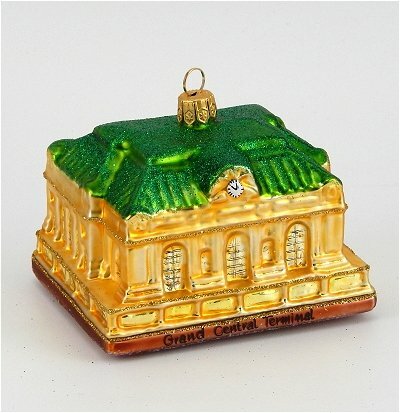 Grand Central Terminal is one of the nations most historical landmarks, and has remained the busiest train station in the country. 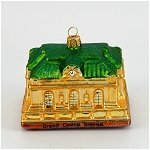 This ornament captures the feel of it for your tree. Mouth blown and hand painted glass. 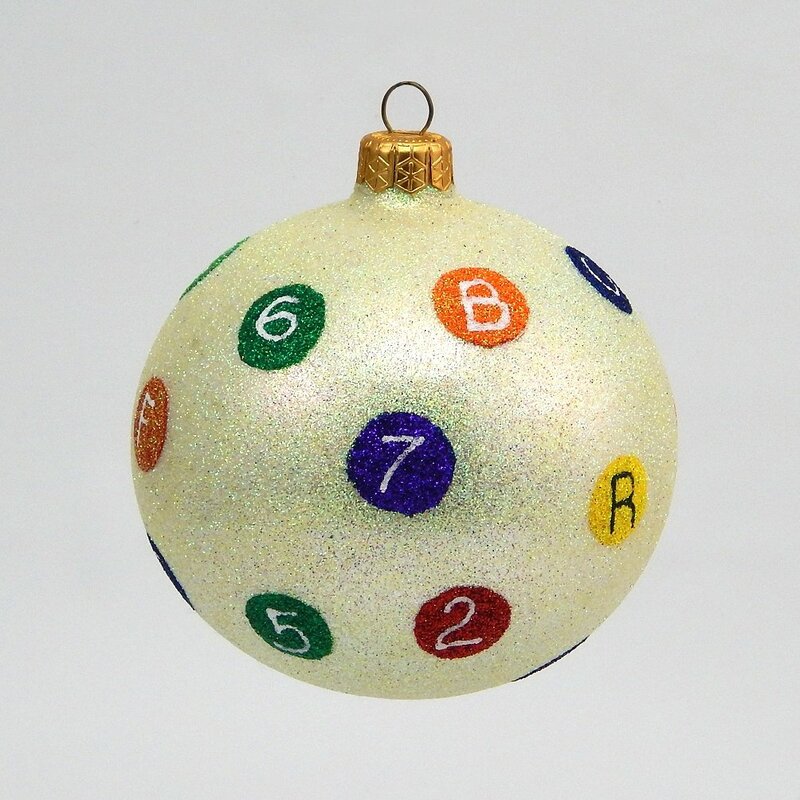 This glass ornament made in Poland captures the look of the subway token used by the MTA in New York City. 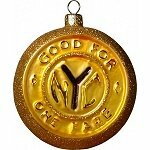 It was a small brass circle with the letter Y punched out in the middle. 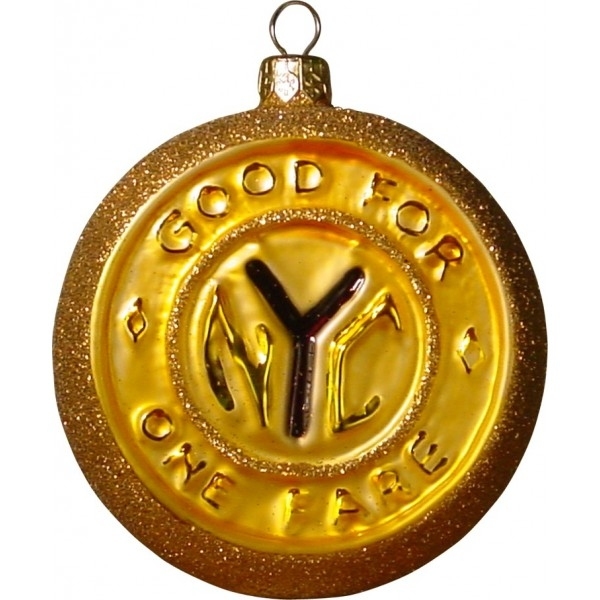 It was good for one fare and was used from 1953 to 1980. 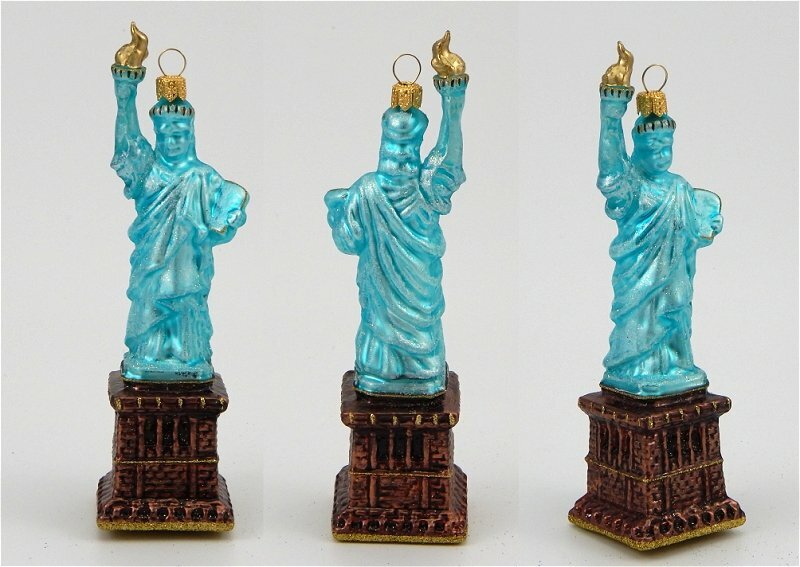 New York's Statue of Liberty was a gift of international friendship from France to the United States, and is one of the most universal symbols of democracy. Located on the 12-acre Liberty Island in New York Harbor, The Statue of Liberty was dedicated on October 28, 1886 and was designated a National Monument on October 15, 1924. The Statue was extensively restored in time for her spectacular centennial on July 4, 1986. 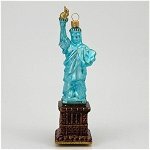 Our blown glass ornament made in Poland nicely renders her for your tree.